South Texas College (STC) values and respects your privacy and is committed to the responsible use of sensitive information collected from and about its students, faculty, staff, business partners and others who provide such information to the college. This commitment is in accordance with both state and federal regulations concerning the use of sensitive information. The purpose of this statement is to communicate the activities that impact privacy, including its collection, use, sharing, safeguarding, maintenance, and disposal of personally identifiable information (PII). This section describes the collection and use of the information collected from visitors to college websites. This applies to all sites hosted by the college or third-parties. STC uses server logs and log analysis tools to create summary statistics about Web site usage to improve site management. The statistics are used for purposes such as assessing what information is of most interest to users, determining technical design specifications, and identifying system performance or problem areas. STC does not report or use this information in any manner that would reveal personally identifiable information, and does not release the information to any outside parties unless required to do so under applicable law. Some of the information collected includes the IP address, the page that referred you to our website, pages that were browsed, and which web browser was used to connect. The information that we receive through web forms is not sold or traded with any third-party. However, that data is stored internally and with a trusted third-parties for processing by college staff. The data is retained for as long as it is reasonably needed to fulfill its purpose. We incorporate or link to third-party products or services on our website. These third-party sites have separate and independent privacy policies. We, therefore have no responsibility or liability for the content and activities of these linked sites. Nonetheless, we seek to protect the integrity of our site and welcome any feedback about these sites. The Children’s Online Privacy Protection Program took effect on April 21, 2000, and pertains to websites directed towards children under 13 years of age. The website for South Texas College is not directed towards children under 13 and does not knowingly collect personally identifiable information from children under the age of 13. In the event that the college learns that it has collected any personally identifiable information from a child under the age of 13 without verification of parental consent, it will delete that information. If you are a parent or guardian and you believe that your child under age 13 may have provided personally identifiable information through a college site, please contact privacy@southtexascollege.edu. Library records that identify a person who requested, obtained, or used a library material or service are exempted from the disclosure requirements of the Texas Public Information Act and subject to more restricted conditions for disclosure set forth in Title 5, Sec. 552.124 of the Texas Code. Patron data collected in electronic form is not shared with any third-parties and is kept up to six years after a user becomes inactive. The college library welcomes members of the community to make use of some of the services that we provide. Photocopies of government-issued identification documents that we collect for the purpose of registering our community users are not shared with any third-parties and are destroyed on a yearly basis. The college child development center collects information about both children and parents for the purpose of providing child care services. The information collected is not shared with any third-parties and is destroyed once services are discontinued and in compliance with the licensing standards (Chapter 746) set by the Texas Department of Family and Protective Services. As an institution of higher education, the privacy of education records is protected by the Family Educational Rights and Privacy Act. There are some exceptions that allow South Texas College to share your information with or without consent. More information can be obtained by visiting the FERPA General Guidance for Students. Applicants to South Texas College that do not enroll for any classes are not covered under FERPA, however, the information is kept private and protected just like a student record. FERPA sharing exceptions do not apply to these records and for that reason not shared with any third-parties. Some of the information submitted with applications for employment to the College become public record and are subject to disclosure. 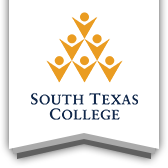 South Texas College protects the privacy of any security sensitive information and follows the Texas State Records Retention Schedule. With few exceptions, you have the right to request and be informed about information that the State of Texas collects about you. You are entitled to receive and review the information upon request. You also have the right to ask the institution to correct any information that is determined to be incorrect. The Texas Public Information Act, with a few exceptions, gives you the right to be informed about the information that STC collects about you. It also gives you the right to request a copy of that information, and to have the College correct any of that information that is wrong. You may request to receive and review any of that information, or request corrections to it, by contacting STC's Public Information Officer. Coordinate with all stakeholders to keep this document up-to-date with our current practices that impact the privacy of the data that we collect. Verify that all practices are in accordance with any applicable state or federal regulations. Communicate to the CISO any changes that impact the privacy of the information that we collect and that are not currently expressed in the latest revision of this document. South Texas College welcomes your comments regarding this Privacy Statement. Comments or questions may be directed to privacy@southtexascollege.edu.